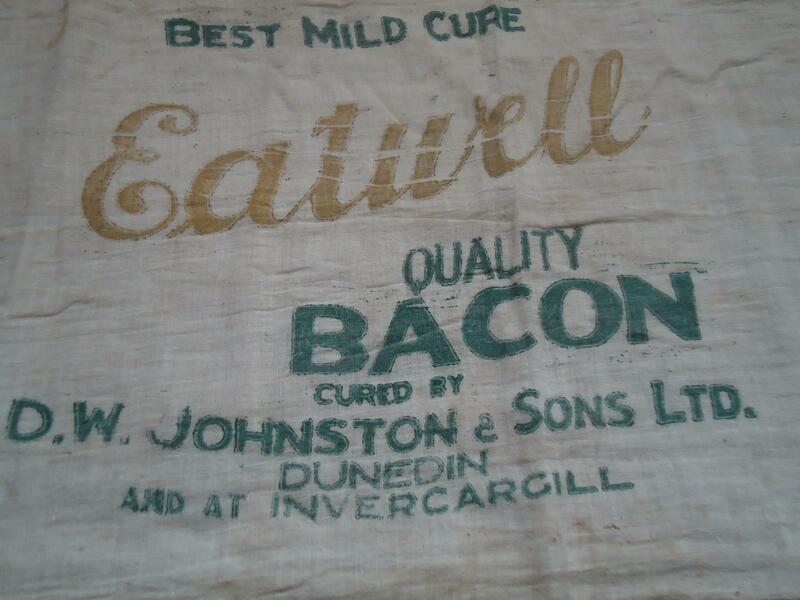 When people think of fragile heirlooms passed through the generations, I suspect a cloth bacon bag doesn’t readily spring to mind. 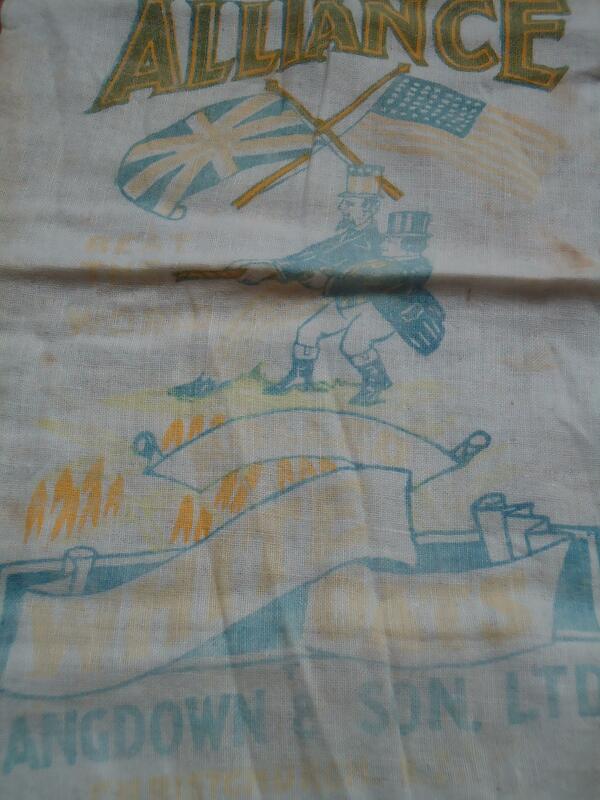 However recently I was presented with several muslin bags that belonged to my great-grandmother. Through a winning combination of thrift and hoarding, these bags have survived generations of multiple house moves. I wonder how these and other similar pieces of fabric would have been used in the past once the bags had served their original purpose. Perhaps these bags date from the 1930s, the era of the Great Depression where recycling was a way of life in order to keep households running. 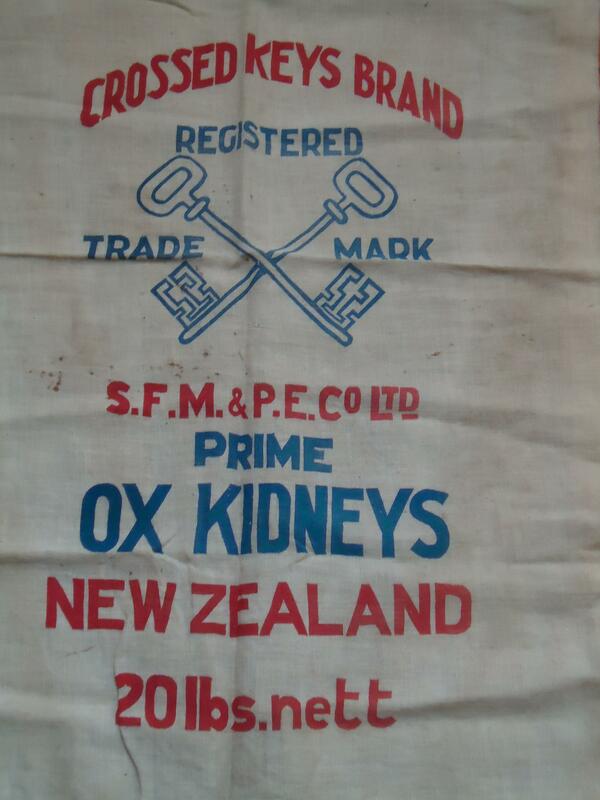 Did these experiences ensure people kept these cloth bags for fear of throwing away items that could be reused? Did they become backing cloths for curtains, quilts or rugs? Perhaps they were turned into oven mitts, aprons or laundry bags for holding stockings or dusters? Whatever the answer is, I found myself drawn to collecting these pieces of linen. Here are some favourite pieces picked up at vintage fabric events. Vegetarians won’t agree that you can ‘eatwell’ with bacon. A lot of flag waving for rolled oats. 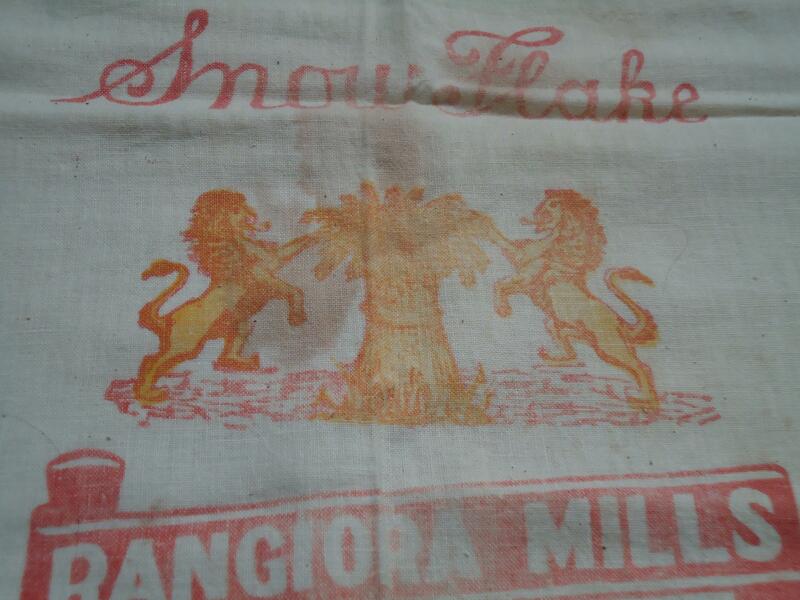 Snow appears to be popular in some brand names. 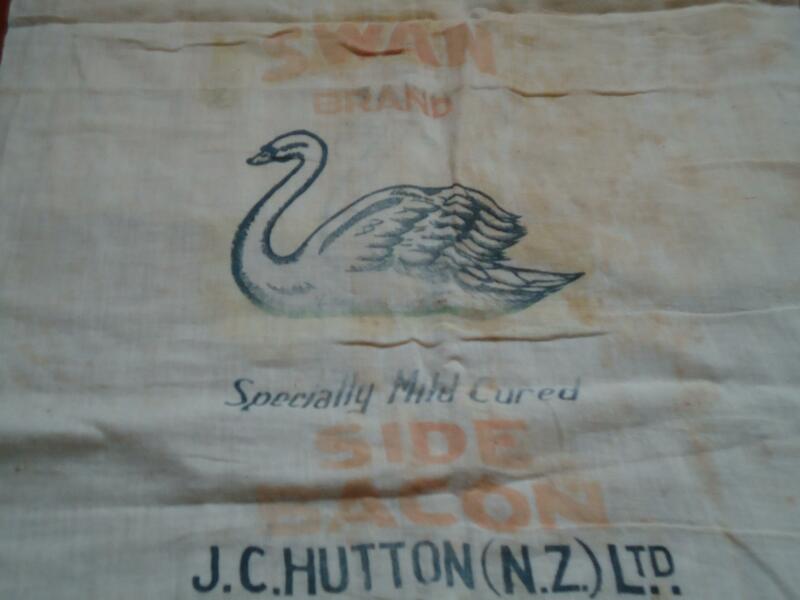 I’ve got a couple of old bags like this (I think one is bacon from memory) which came to me via my Nan. I have put cushions in them. Who’d have thought – from meat cover to interior furnishings! 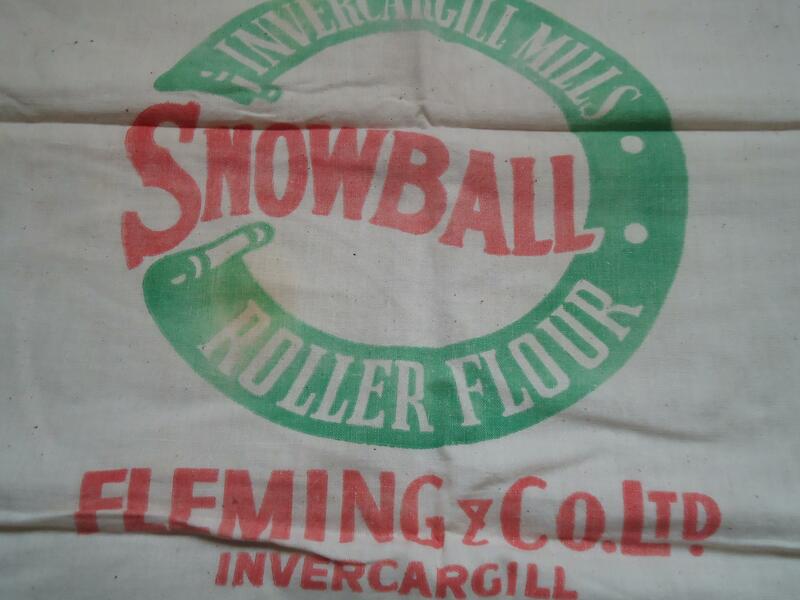 I have two flour bags that came from my Mum. 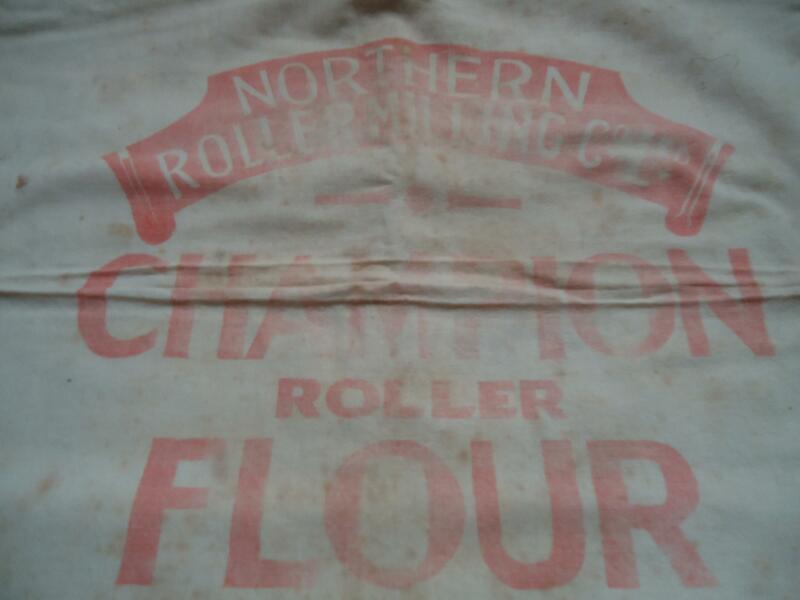 She used washed and dried flour bags to line boy’s winter shorts back in the early 1960’s. Waste not, want not was her mantra. In latter years she kept baby knitting projects in these bags to keep the project clean. I use them for the same purpose now. The bags are deliciously soft.